Israeli soldiers invaded, on Thursday evening, the al-Khader town, south of the West Bank city of Bethlehem, and injured several Palestinians. 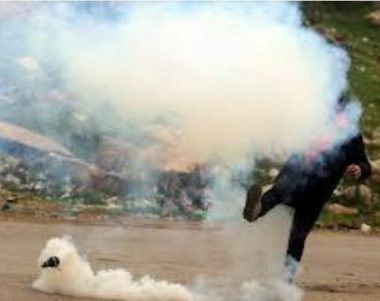 Media sources in the town said several army jeeps invaded it, and fired many gas bombs and concussion grenades at Palestinians, protesting the invasion. The invasion mainly targeted Dar Mousa neighborhood, and the al-Bawwaba area.